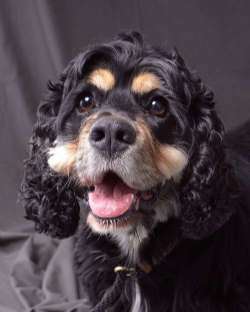 Bear is a 3 year old Cocker Spaniel who was recently adopted by a retired couple. The wife broke her hip while walking him on ice and they feel they cannot adequately care for him at this point. It's so sad as it was a great home for him. Bear gets anxious when his people are not around, so please be a stay at home who can acclimate him. He panics in a crate. He is a beautiful dog who got rave reviews from his groomer and from the doggy daycare -- he loves other dogs. He would love to live with another dog or dogs. He is available once we receive your application in advance. He was not raised with children so an adult home is preferred. Please apply online before coming to meet him. Meet Brick! 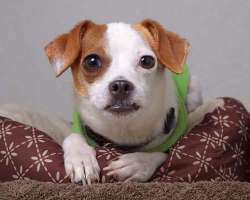 Brick is a 2 yr old Jack/Rat terrier mix. Cute as a button and very portable, Brick weighs 16 lbs. Handsome Mr. Brick has had a rough start to life. He was previously owned by a hoarder and was surrendered along with 9 other dogs. Prior to coming to foster care with PAWS, Brick had likely never walked on leash, slept on a comfy bed or played with a toy. And, this underbite cutie had to be treated for heartworms. Brick is now free of heart worms and ready for his new home. He’s a big snuggler and gives the best gentle kisses! He's a couch potato and is laid back. He hates the rain, hates getting his feet wet. He loves belly rubs, loves the car, and is a snuggler. He wants to sleep in your bed. He needs someone home at least half the day so he can keep up with his potty training. He's not going to show well at the shelter, but that's understandable. He was Mason's pal when they were in TX together. He likes other dogs after a proper introduction. He will be available after 2/8/18. Brock is a big boy. He is about 2 years old and weighs close to 90 pounds. Brock was a stray picked up by the local animal control officer. Brock knows how to sit and gets along with other dogs. He pulls some on a leash and will need some training. Brock is an active friendly boy who needs an active family. He will need plenty of exercise and room to run. A fenced in yard is a must for this big boy. Brock is ready to find that special family to give him the attention he deserves. Available after 2/7/18. Gansito and Buddy were owner surrenders that have lived together all their lives. They are very low key and calm , very quiet and behave well at all times. Gansito likes to eat and is happy to clean up Buddys leftovers . 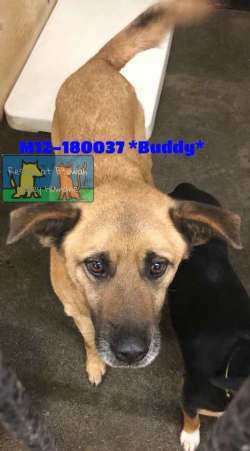 They are seriously bonded and would like to stay together and promise to be no trouble at all, but we realize that chances are slim so will accept applications for each separately while we're praying for that miracle. They ride well in a car , give lots of kisses, and walk well on a leash. 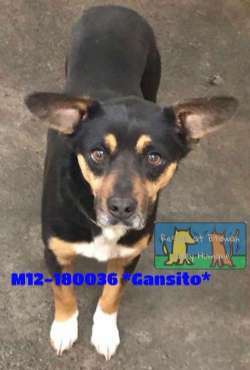 They only cry when they can't see each other so would do best in a home together Buddy is 41 pounds Gansito 23 pounds. 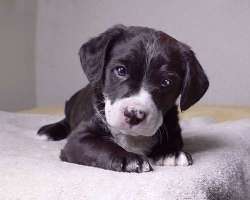 Mixed breed dogs are the healthiest! They arrive 2/18/18 and are available after 2/21/18. 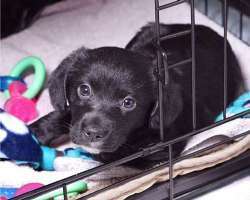 Please apply online at http://www.savadog.org/applytoadopt.asp. 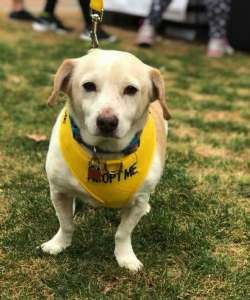 At age 7, handsome Beagle-terrier mix Champ is looking for a new start in life. His favorite human passed away in late 2017 and his extended human family was unable to care for him. Champ loved his human dad, and was sad and confused to be moved to a new home without him. He would do best in a quiet home,without children, would be best. 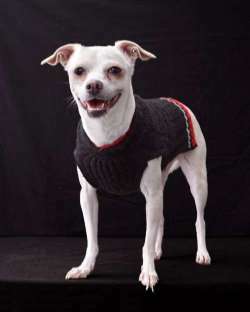 Champ is adjusting to his foster home where he gets along pretty well with the other small and medium dogs in the home. Champ does LOVE his food, so he gets fed in his kennel and all food is picked up when Champ is around. Champ weighs 21 lbs and could lose a few. Champ's ideal day includes a leisurely walk around the neighborhood and an evening cuddled up with a human buddy for some netflix binging. He's an easy-going guy with so much love left to give! Available now. Apply if interested. Hi, My name is Chloe and I weigh 12 lbs. I'm a 10 month Italian Greyhound/ Chihuahua mix from Texas. I am shy at first but have bonded quickly to the volunteers at Save A Dog. I am a hurricane dog so it makes sense that I am scared at fist. Due to the fact that I am shy and little I should have gates in front of doors leading to the outside. A quite road would also be a plus for me. I like most other dogs and I ignore cats. I am mostly housetrained but need to go out very regularly as I have a small batter. I am also pee pad trained. 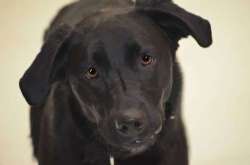 Five year old Coco was relinquished by his local owner who is moving. He is neutered and is non-shedding. He came in with Princess, a two year old female Shih tzu who is possibly a mix. Please apply online. If you already have an application online, please email adoptions@saveadog.org. Coco will be at our meet & greet on 2/24 from 12-3p.m. Puppy power! Meet Ferris. Ferris is a 3 mo old lab-retriever pup weighing 20 lbs. Ferris likes to go go go! Soft toys, rope toys, ball toys - Ferris loves them all! 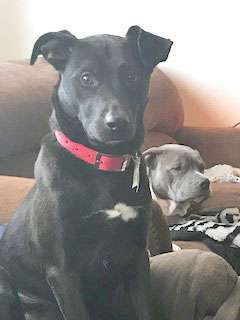 Ferris gets along well with the adult dogs of various sizes in his foster home, and they are helping to teach him the rules to be a good mannered pup. 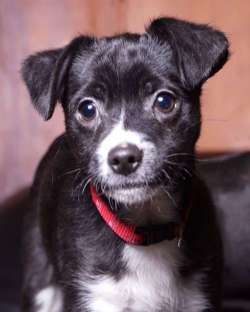 Ferris is neutered and ready to find his own forever family, hopefully stay-at-home as he needs the time and training. 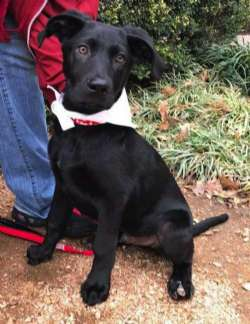 Ferris is arriving from TX on 2/4/18 and available on 2/8. He will go quickly so if you have an application on file already, please email us and we'll note that you are interested.He's a pup so needs someone at home during the day. 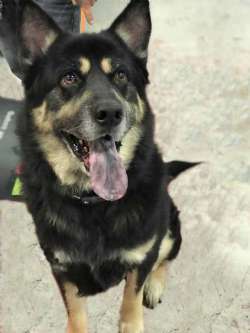 Finn is a five year old neutered male Shepherd/Husky mix. He is a total gentleman. 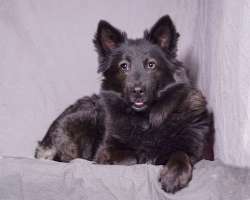 He is calm, good with other dogs and children, walks well on a leash, and rides well in a car. He knows tricks and loves everyone he meets. Finn is 5 years young and absolutely gorgeous in person photos don't do him justice Many will fall in love with this quiet well mannered boy. He has not been cat tested. He arrives 2/17 and is available after 2/21/18. Please apply if interested. We've told you all we know so far so it's best to fill out the application and if he is not a match we can apply it to another incoming dog. Genie is a 10 week old female puppy. She came from St. Croix with her buddy Joe. She is a little shyer then Joe, but just as sweet. Once she knows you all she wants to do is cuddle. She is currently under weight, so she'll need an adopter that can give her extra TLC. Please be a stay at home or work from home. Hi, My name is Herman and if you have a fenced in yard I'm your boy! I'm a little shy when you meet me, but give me a few minutes and I'll be your loyal friend. I know all shorts of tricks like sit, paw, lay down, and roll over. I am completely housetrained. I have been in a foster home with dogs of all ages, sizes, and sexes. I even like puppies! I'm good with cats. I'm a good eater and I could use to add a few pounds. I'm a cuddly, fun-loving, treat-eating guy! A quiet home would be best and if you have another dog for me to play with, I would be so happy. It's not a necessity though. I just want a home! JAKE IS ADOPTED AND LIVING HAPPILY WITH ANOTHER GREAT PYR AND GOATS. 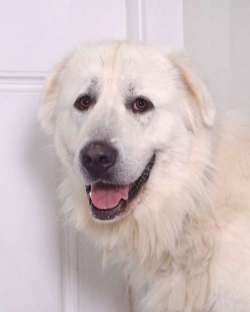 Hi there, My name is Jake and I am a sixteen month old Great Pyrenees. I'm a big puppy but I need someone with dog training experience who has trained large breeds. I am good with the sheep and other large animals, and I have lived successfully with cats. I like to be outside during the day as long as my people are around. I want to be inside with my people after some time outside. I also try to be a lap dog sometimes so I need a strong lap. I don't respond to dominance training. Make it fun for me and I'm the smartest dog on earth. I walk beautifully on leash and prefer a harness. I typically bond to one or two people in the house. I like visiting kids, and am a friendly boy but I'm not for a home with children as I will guard my food and bones on occasion. 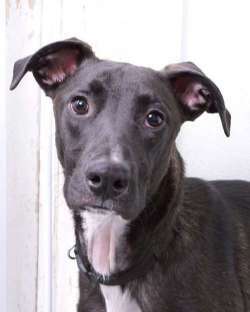 Please apply at http://www.saveadog.org/applytoadopt.asp as I might be off site when you drop in. I wouldn't want to miss you. Please share as I need a home! Joe is a 10 week old male puppy. He came form St Croix with his buddy Genie. Joe is an out going guy that loves his people and other dogs. 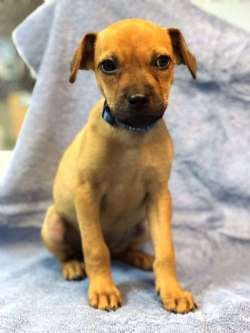 He is a little skinny so will need an adopter that can give him extra TLC. Please be a stay at home or work from home. Please apply before inquiring. Joe will be at our meet & greet on 2/24 from 12-3p.m. Meet Kate! 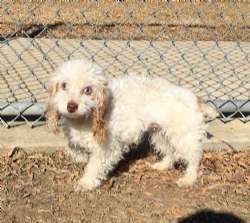 Kate is an approximately 5 yr old poodle weighing 7.5 lbs. Kate is the total package - she's beautiful, she's smart, she's cuddly and she's fun! The only thing she's missing is a little bit of vision. She has no sight in her right eye and the vet thinks there was trauma to the eye at some point. She also has a cataract in her other eye, but that doesn't stop her from racing around with her toys and playing! Kate had a seizure several nights ago - it was mild but lasted a few minutes. We are monitoring her, and don't know if the seizure is related to the trauma she suffered which caused the blindness. She was picked up as a stray after the hurricane in TX so we don't have any history. We suspect she was originally from a puppy mill. She could gain a few lbs and fill out to be a 10 lb dog. Kate makes friends pretty easily with other dogs even though she can't see them very well. She loves people but we are not sure how she would be with small children, given her sight limitations. This cutie has lots of love (and hugs and kisses!) to offer! We will show her at our shelter on Saturday, the 27th from 12-2 PM. Please fill out an on-line application ahead of time. 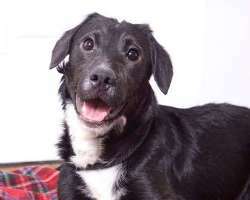 Lillybelle is a sweet gentle 2.5 year old Australian Shepherd mix who weighs 42 lbs. She loves everyone she meets, human and canine. She gets along with other dogs and doesn't bother cats. 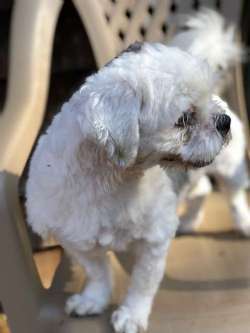 Lillybelle walks well on a leash and is house and crate trained. Lillybelle loves a good petting and sleeping on the sofa. 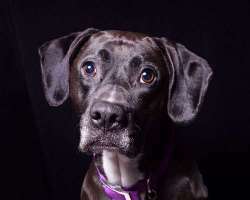 She is ready to find an active family to love for the rest of her life. She's house trained. What a dream dog! She's available to meet on Saturday, 2/10/18 from 12-3 PM during our open hours. SO SORRY TO ALL THE APPLICANTS WHO CAME TODAY. WE COULD ONLY CHOOSE ONE. Mayte is a 2 year old spayed female who is rescued from the hurricane ravashed Puerto Rico. She is beyond adorable! 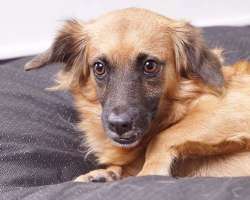 When you meet her she can be shy and nervous so she's not going to show well, but in her foster home she plays with the other dogs (another dog is important for her) and she cuddles with humans. She's just not a dog for the dog park or soccer games. 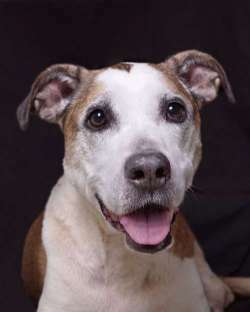 She would love a quiet home with a single or couple or retiree. She's great with cats. Small children not recommended for Mayte but visiting kids would be fine. She will blossom in the right home. Please apply online as she is in a foster home now. Mindy is a spayed black Lab/Boxer/Bully mix who is 5 years old. She weighs 67 lbs. and is from West Virginia. At some point she had an owner who really cared for her. She knows commands like sit, shake and laydown. She is housetrained as well. Mindy also has the sweetest personality. Loving every person and dog she meets. She is a real find! Watch her videos for more information video: https://www.youtube.com/watch?v=3ok12za7Rxw&feature=youtu.be Mindy will be at our meet & greet on 2/24 from 12-3p.m. Hi my name is Neptune! 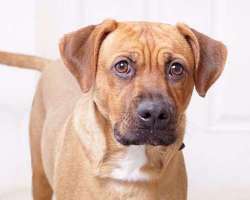 I am an 11 month old boxer/terrier mix. 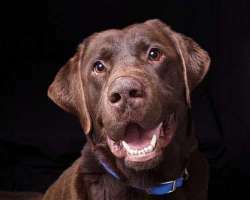 I am a happy go lucky guy who loves to play. I have been good with adults and older experienced teens. I grew up in St Thomas and lost my home due to the hurricanes. I have been on heartworm preventive since I was a puppy. I love chasing a ball and playing with squeaky toys. I love walks and I walk well on leash (no pulling). When I see another dog I get so excited because I want to play. I have learned ³sit² and am learning other commands too. I sleep in my crate at night and ride well in the car. I am totally house broken. I want my own family to cuddle with. My foster mom says, "Neptune thinks he's a lap dog. The other night as we watched a movie, I let Neptune curl up on my lap and he slept on me the entire movie. He is such a cuddle bug. He has also learned sit, gimme paw, drop it and leave it. He would also be a great companion for hiking." Please apply online as I'm in a foster home. Hi, My name is Oreo and I'm a 10 week old pup who loves to play. I'm not afraid of big dogs and I'm on an easy schedule so I would be the perfect addition to a household where someone works from home. My house training is coming along and I'm doing great in my foster home. I've been with cats and I like to play with them. Please fill out the application online. I'm available now. Sammy, Sandy, Sissy, and Suzie were all born to Sally on 12/26/17. 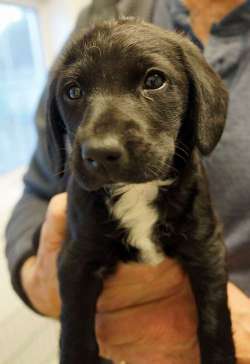 Mom Sally, who is a mix of Lab and Spaniel, was rescued from a hoarder home when she was pregnant. The pups were born a few days later. They were nursed until 7 weeks old so should be very healthy. They have Mom's antibodies vaccines at this age would confuse their developing immune systems. It is wise to follow Dr. Jean Dodds safe vaccine protocol. Available at 8 or 9 weeks only if an application is received ahead of time. Local families only as we need the puppies close by so we can follow up if there are any needs. Sammy, Sandy, Sissy, and Suzie were all born to Sally on 12/26/17. Their Mom, Sally was rescued from a hoarder home when she was pregnant. The pups were born a few days later. They were nursed until 6 or 7 weeks old so should be very healthy. They were flown to Save A Dog by private jet. It is wise to follow Dr. Jean Dodds safe vaccine protocol as these pups have received the antibodies from their mama. Available at 8 or 9 weeks. 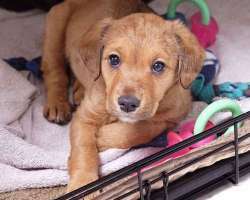 Sandy is the most adventurous of the group, climbing out of the puppy pen to join her mom. Mom keeps her in her place, of course, so she is a very nice puppy. These pups need a stay-at-home or work-from-home adopter. Sissy is a quiet pup who loves to be held. Sammy, Sandy, Sissy, and Suzie were all born to Sally on 12/26/17. Their mom, Sally was rescued from a hoarder home when she was pregnant. The pups were born a few days later. They were nursed until 6 or 7 weeks old so should be very healthy. They were flown to Save A Dog by private jet. It is wise to follow Dr. Jean Dodds safe vaccine protocol as these pups have received the antibodies from their mama. Available at 8 or 9 weeks. These pups need a stay-at-home or work-from-home adopter. Sissy will be at our meet & greet on 2/24 from 12-3p.m. Sammy, Sandy, Sissy, and Suzie were all born to Sally on 12/26/17. Sally was rescued from a hoarder home when she was pregnant. The pups were born a few days later. They were nursed until 6 or 7 weeks old so should be very healthy. They were flown to Save A Dog by private jet. It is wise to follow Dr. Jean Dodds safe vaccine protocol as these pups have received the antibodies from their mama. Available at 8 or 9 weeks. 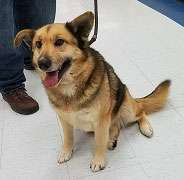 Tina is a sweet 4 year old Aussie/shep mix who landed in a WV high volume shelter. She weighs 53 lbs. and is a happy girl. We hope she won't have to be in the shelter very long. She is available after Tuesday,1/31. She is fine with other dogs and knows sit/shake. Hi! my name is Vespa. 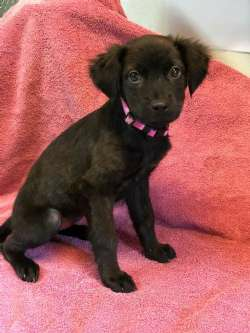 I am a one year old retriever/spaniel mix and I weigh 20 lbs and will grow a little. My fur is medium length and gorgeous. I rescued from in West Virginia. My owner passed away so I need a new home. I came in very shy but I warm up quickly and I love playing with the teen volunteers here. I'm totally house broken and would love another dog to play with. I will go far if you take me to training. I need a fenced in yard. Teens and up is best as I was not raised with children. Come see me on Sat.